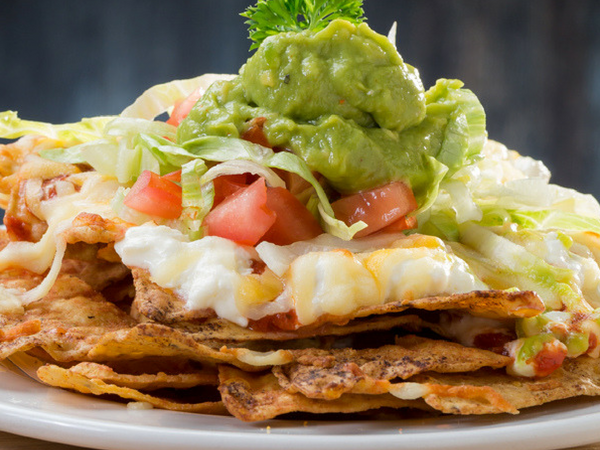 Want to keep the kids happy and entertained while you dine? 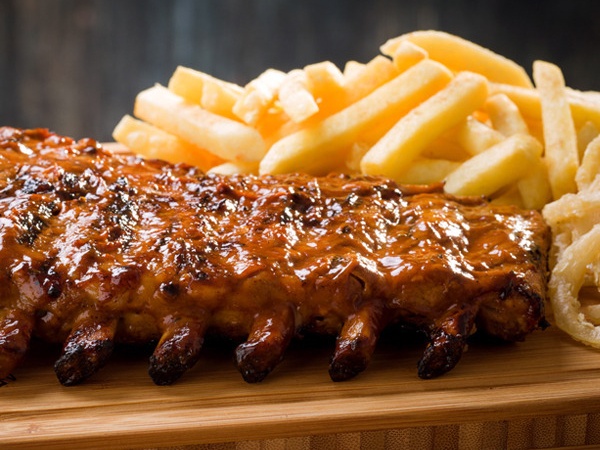 Head to one of these fantastic restaurants around KZN with play areas, kiddies’ menus and changing facilities. 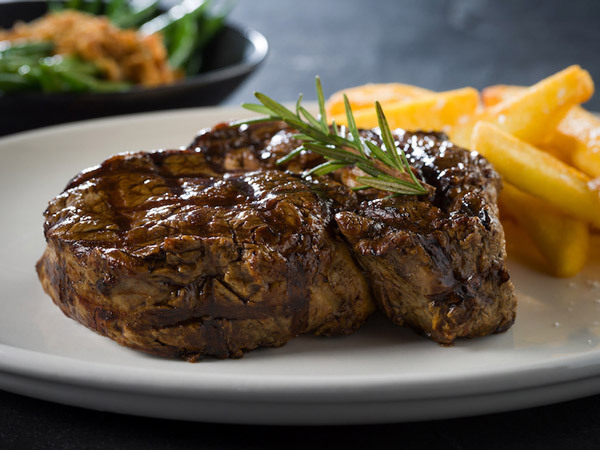 The perfect pit stop for an after-school treat or a family Sunday lunch. Grab one of the seats outside and enjoy café-style eats while the children play freely. 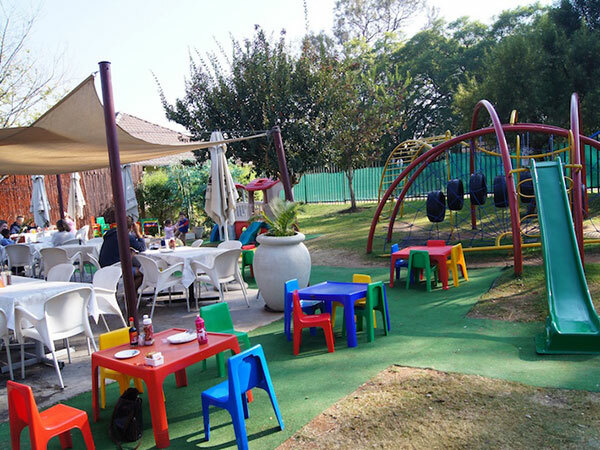 Play area: The restaurant has a plentiful array of indoor and outdoor seating, as well as a jungle gym, swing, play house, sand-art area and play tables for the children. Kids’ menu: A decent menu for the little ones features breakfasts; toasted treats; meals of hotdogs, burgers or pasta; and puddings like waffles or fruit skewers. Changing facilities: Nappy-changing facilities are available in the disabled bathrooms. Child-minders: Child-minders manage the play area seven days a week. Other: The venue is also available for functions like birthday parties or baby showers. 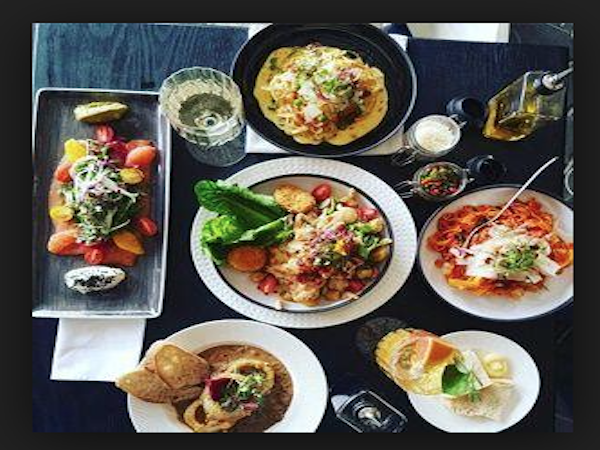 This spot is a great place for foodies with children. Relax and enjoy cheese boards, elegant salads with salmon and mascarpone, or colourful quiches. Play area: There’s a great outdoor area for the little ones to play, featuring sand pits, slides, activity tables and a wooden jungle gym. The play areas are divided into two areas for bigger kids and smaller tots. Kids’ menu: Little ones can enjoy top-your-own pizzas, burgers, gourmet shakes and more. Changing facilities: Nappy changing facilities are available in the ladies’ bathrooms only. Child-minders: Friendly caretakers are on duty in the play areas to help watch over the kiddies while you enjoy your meal. This family-friendly spot is perfect for cooler weather. 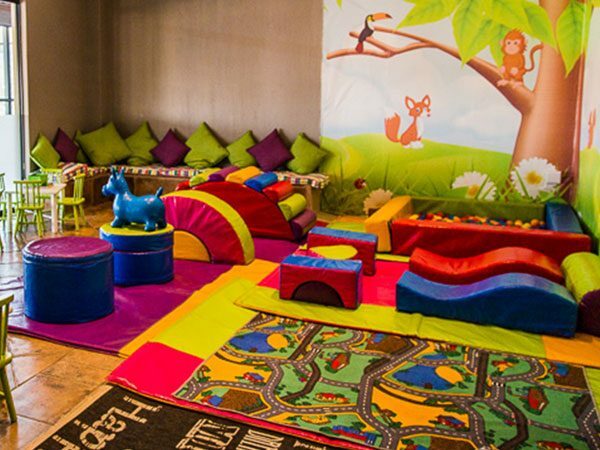 Little ones can enjoy playtime in the cosy child-friendly playroom while parents enjoy bistro-style dining. Play area: A cosy indoor room equipped with colouring-in stations, bean bags, computers and a toy box. Kids’ menu: A child-friendly menu offers a range of easy-eating plates including build-your-own pizzas or mac and cheese. All kids’ meals also come with a free toy. Changing facilities: Yes, a changing table is available in the playroom. Child-minders: A child-minder is on hand to watch over the kiddies while parents enjoy a little downtime. 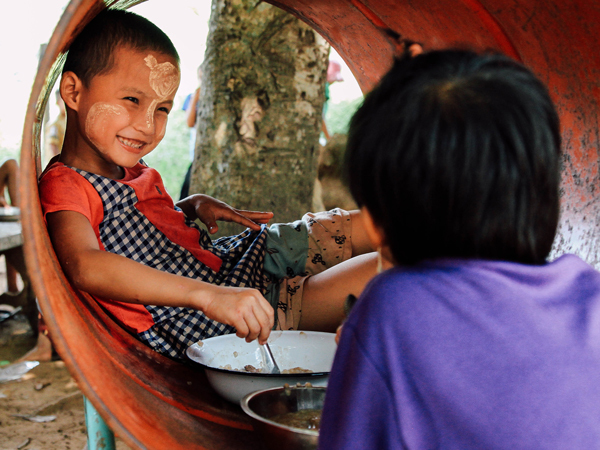 Other: Children eat free from Mondays to Thursdays, 5pm to 6pm. This only applies to children under the age of 12 and they must order off the kids’ menu. Head to this beach café for blissful sea views and some fun in the sun with the family. Play area: A secure area on the sunny beach allows children to play in the sand. There’s also a jungle gym and a sand pit. Kids’ menu: A menu is available for the little ones with light meals like toasted sarmies, pizza and milkshakes. Changing facilities: Nappy-changing facilities are available in the ladies’ bathroom only. Child-minders: No; however, the tables are situated around the play area so that parents can keep a close eye on their children. Friendly staff and exceptional food (those who’ve visited rave about the cheesecake and milkshakes especially) make this a favourite among locals and visitors alike. Play area: There’s a sheltered play area for kids that features various activities, from swings to a reading corner. Kids’ menu: There are loads of fun options on the kiddies menu, but the highlight for most is the waffles (and those milkshakes). Changing facilities: There’s a mommy’s corner dedicated to breastfeeding moms and nappy-changing parents. Other: Apart from all the games and toys, kids will also be enthralled by Billy the goat. A good spot for all-day Italian food with the family. 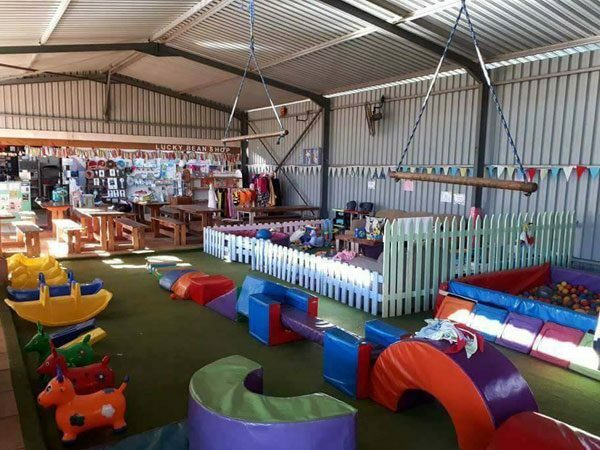 Play area: This North Coast restaurant offers both an outdoor and indoor play area for the littlies. The large grassy lawn boasts a giant, bright-orange royal palace, where the kids can climb and slide to their hearts’ content. There’s also a pizza/playdough section and a PlayStation indoors. Kids’ menu: The bambini menu features mini pizzas, burgers and ribs. Changing facilities: A changing station is available in the ladies’ bathroom only. Child-minders: There are full-time child-minders on site. Other: On Tuesdays, kiddies eat free. The colourful playground at La Piazza. Photo supplied. 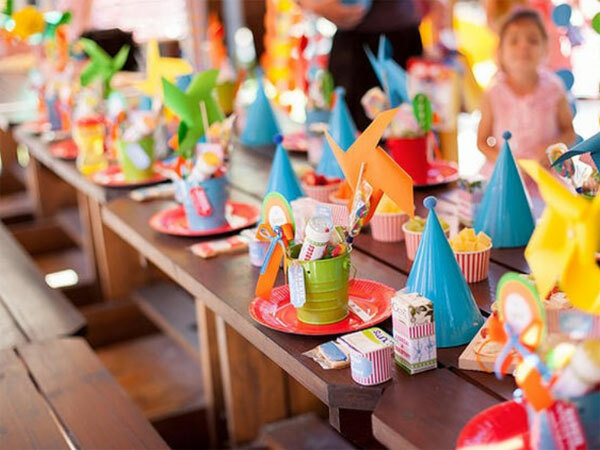 This family venue is all about the children and is perfect for birthday parties. There’s also a coffee shop where adults can enjoy a cuppa and a slice of cake. Play area: There’s a large play garden, babies’ play area, three fantasy playhouses, a 60m bike track, jungle gyms and plenty of space to run around. There’s also an indoor playshed with books and educational toys. Kids’ menu: The family-friendly menu features toasty triangles, chicken nuggets and chips, salmon fishcakes and veggies, lasagne, and even vegan options. There are also handy snack bags filled with chips, biscuits and fruit that are perfect for playground feasting. Changing facilities: There’s a separate babies’ lounge, which is fully equipped for babies under 18 months as well as changing facilities in both the men’s and ladies’ bathrooms with all the necessary sanitisers. Child-minders: Guardians watch over the playgrounds to ensure the little ones are safe. Other: Lucky Bean is a no-smoking and zero-alcohol venue. The impressive indoor play area at Lucky Bean. Photo supplied. 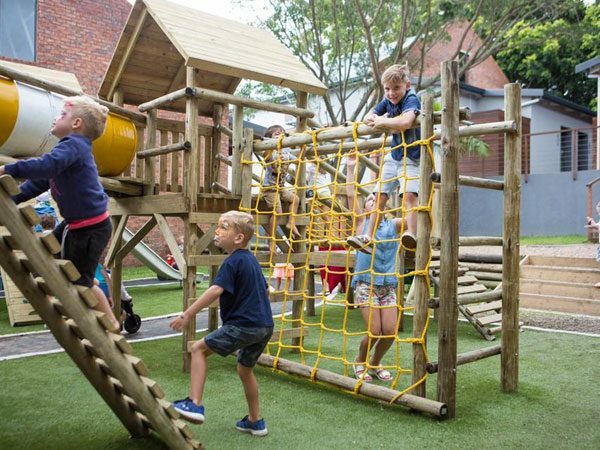 Play area: There’s a large stretch of astroturf, an outdoor playground with a natural timber gym, and a special eating area where kids can roll their own pizza dough and take part in a range of arts and crafts. There’s also an indoor play area with sand art, DVDs and games. Kids’ menu: The little ones are catered for at breakfast, lunch and dinner with options like French toast, mac and cheese and kiddies’ pizzas. Changing facilities: Nappy-changing facilities are available in the disabled bathroom for both moms and dads to use. Child-minders: There are child minders available in the indoor play area. Other: On certain days, the restaurant offers cupcake icing and free ice-lollies. A little one enjoying the kid’s menu at Nonna at Makaranga. Photo supplied. This is a Mediterranean favourite amongst Durban locals. Parents can tuck into their pizzas while the kids are happily entertained. Play area: The children’s playroom is equipped with a television and DVDs, foosball tables and other fun games. Kids’ menu: Kiddies under the age of 12 can munch on pizza, pasta, calamari and mac and cheese. Child-minders: Olive & Oil staff are also tasked with watching over the little ones. Other: On Sundays, kids eat free. The festive playroom at Olive & Oil in Hillcrest. Photo supplied. This Westville eatery is a favourite spot for the family. Enjoy Mediterranean-style food while the little ones are looked after. 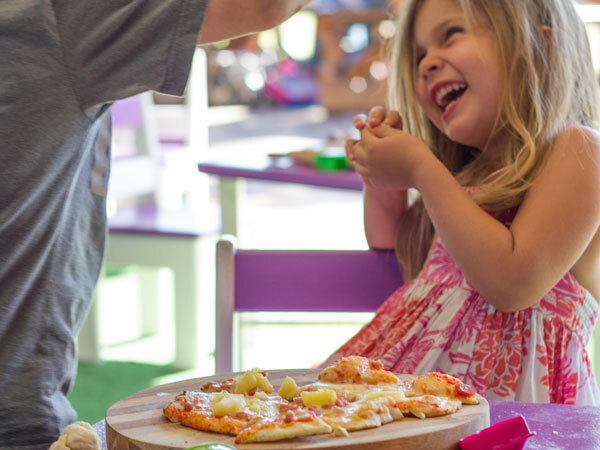 Play area: Keep the little tykes busy with a pizza-making class at their own mini-pizza stations or let them play in the indoor playroom or outdoor jungle gym, safely in view of the restaurant. Kids’ menu: Kiddies under the age of 12 can munch on pizza, pasta or mac and cheese. All kiddies’ meals are served with a complimentary sugar cone. Changing facilities: Yes, in the ladies’ bathroom only. Child-minders: O&O staff are also tasked with watching over the little ones. Other: They also host pizza-making birthday parties. Fun at a pizza-making party at O&O Café. Photo supplied. This happy and colourful spot offers a safe and friendly environment for families to enjoy a meal and have lots of fun. 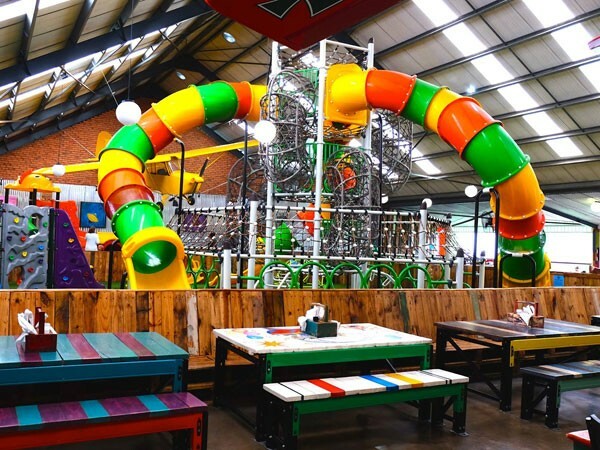 Play area: The enormous indoor play area is equipped with slides, carousels, climbing walls and more. Kids’ menu: All kids can play for free with the purchase of any kiddies’ meal. These include burgers, pizzas and scrambled egg breakfasts. Changing facilities: There’s a private infant feeding lounge and changing area for new parents. Child-minders: The play area is overseen by experienced child minders to ensure the safety of all children playing. Other: The venue also hosts catered birthday parties. The bright and fun dining area at Pallet Jacks. Photo supplied. This Midlands destination is an ideal road trip pit stop for the whole family. The food and drinks options include a coffee shop, pizza place, wine store, juice café and a deli. 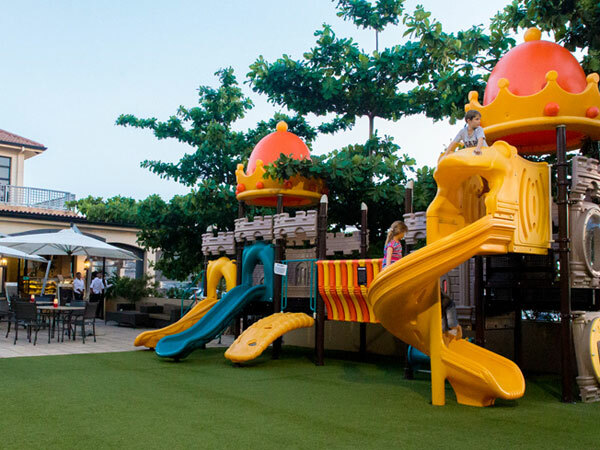 Play area: The littlies will love frolicking in the large outside play area with a jungle gym and swings, while the putt-putt course and candle-dipping activities will entertain everyone in the family. Kids’ menu: A limited kiddies’ menu is available, but pizzas and burgers will also fill young tummies. Changing facilities: Nappy-changing facilities are available in the ladies’ bathroom and in the family bathroom. Other: Look out for the weekly 5km park run, which is open to runners and walkers, children and pets. 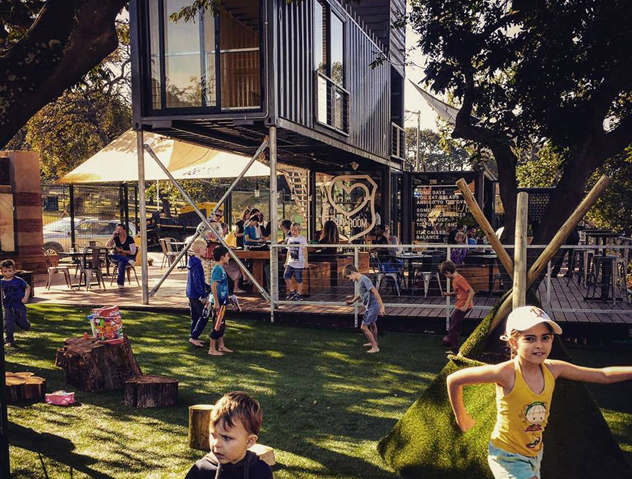 Situated at Glenwood Preparatory School, this welcoming café is built inside a shipping container and offers deck seating overlooking the sports field. It’s perfect for after-school treats for the kiddos. Play area: The grassy play area features a secure spot for the littlies to play, a wooden jungle gym and a jumping castle. Kid’s menu: Children can fill their hungry tums with dishes like dippy eggs, burgers and brownies. Other: The venue is also available to hire for parties. 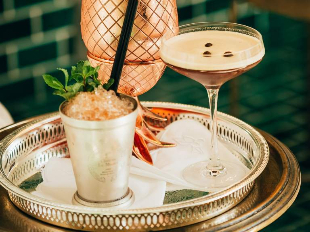 This family-friendly spot offers everything from a café and deli with child-friendly entertainment to a hairdressing salon and boutique shop. Play area: The venue has a fun outdoor and undercover play area, fantasy play houses and sand art to keep the young ones entertained. Kids’ menu: Feed the little ones with kiddies’ meals like grilled calamari, gem squash filled with mince, and kiddies’ burgers. Changing facilities: Nappy-changing facilities are available in the ladies’ bathrooms only. Other: Stop by the toy shop on your way out. The jungle gym at Sage Café. Photo supplied. 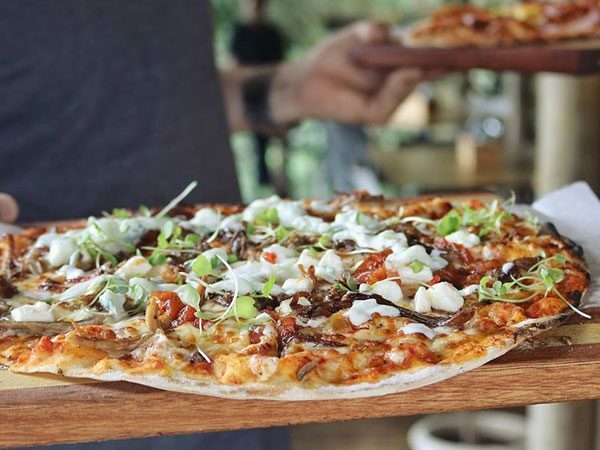 Located at the Litchi Orchard, this laid-back eatery is ideal for lazy weekend lunches with the family. Play area: Let the kiddies frolic on the expansive lawns while you enjoy a pizza on the deck. 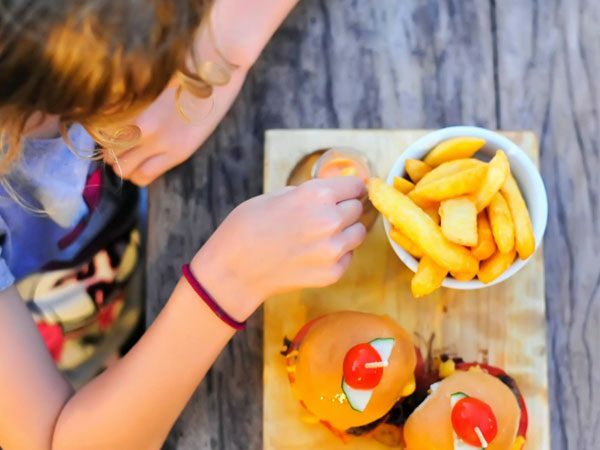 Kids’ menu: ‘The Menu for Tiny Humans’ features options like burgers, strips, toasties, wood-fried pizza and some extremely popular gourmet shakes. Changing facilities: A baby-changing facility is available in the top ladies’ bathrooms. Other: High chairs are also available. Pizza being served at The Shed. Photo supplied. Have we missed your favourite child-friendly spot in Durban and surrounds? Let us know in the comments below.